Ballet 360 gives the audience an exclusive behind the scenes look into the world of dance. The performance will feature live excerpts from classical ballets such as Flower Festival, Talisman, and Raymonda performed by the professional ballet dancers of ballet project. 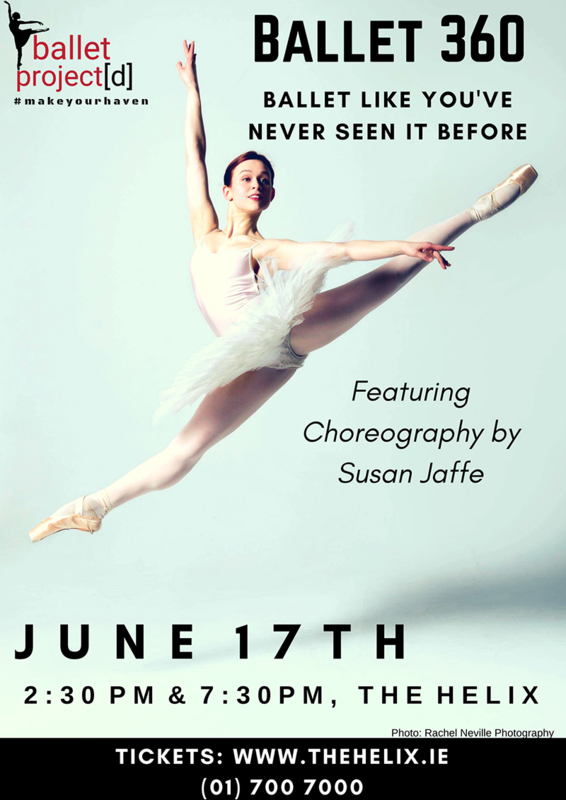 The performance will open and close with new works choreographed by former principal dancer with American Ballet Theatre, Susan Jaffe and Artistic Director of ballet project[d], Lauren Speirs. This gala style performance will feature documentary film clips before each excerpt. These clips will feature interviews and rehearsal footage of Ms. Jaffe and the company dancers. This mix of live performance in costume and behind the scenes footage will take the audience on a journey into our world, and delve deeper into what ballet is all about. Our dancers Nicole Fedorov and Yuliya Prokhorova are Russian Artists and are heavily featured in the program. Niklas Blomqvist is a graduate of the Bolshoi school and Gearoid Solan is graduating from Royal Ballet School this year.